On March 26, Josh Flagg, the celebrity real estate agent from Bravo Network’s ‘Million Dollar Listing: Los Angeles’ reality TV show, wrote his most candid piece about growing up gay in Beverly Hills. Josh shared it on Instagram and wrote that he recently published an article on the ‘Don’t Hide It, Flaunt It’ website which revealed everything about how it was for him growing up gay in Beverly Hills. He said that it was a very personal thing and something that he had never shared before in his life. He encouraged everyone to read it and believed that it may even make them laugh a little. If you don’t know much about Josh, read his biography page first. Over the years, since the very beginning of ‘Million Dollar Listing: Los Angeles, we have learned a lot about Josh Flagg. We already know that he isn’t exactly the one to hold things back. So we were quite interested in finding out the little things that he has never publicly shared. And to our surprise, we found some stuff we were not expecting at all. 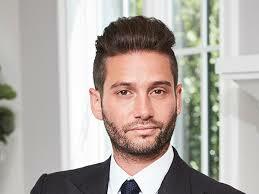 Keep on reading to find out the five most surprising things about Josh Flagg we were able to dig out. We found out that the officials of Brentwood School, where Josh initially studied wanted him to leave the school because they thought he was messing up with the school culture. To this, Josh said that he always wanted to explore real estate from a very young age so he was asked to leave Brentwood, and left he did. He, later on, finished his education at the Beverly Hills High School. Ever since he was young, Josh never liked the idea of hanging out with kids of his age. Instead, he hung out with his teachers during recess and sung opera with them instead. He also mentioned that he was one of the very few kids who loved traveling the world with his grandmother instead of going out on sports camps with kids of his age. Although Josh’s family was very supportive of him when he came out gay for the first time, it wasn’t easy for him in school and he endured some bullying for it. It was a lot different back then, many kids were not really comfortable coming out in school, and it was for a very good reason. He revealed that it was probably the worst and roughest experience of his school life when he was about 15 years of age. Once in school, another kid had put a book about being gay in his backpack which Josh never checked out but it later haunted him and he believed it was a very cruel act and he felt really humiliated at that time. That being said, Josh still thinks that he had it pretty easy coming out because he was fortunate enough to be raised in Los Angeles. Even during those times, LA was a place where it was really hard to find a kid who grew up in a house where their mom wasn’t best friends with a gay decorator or their parents never socialized with a gay couple. So all in all, he had it very easy. Josh isn’t exactly the person who is reserved about his fame, especially when he asked what is it like to be on TV. He said that he may be very different from other people when they say what it feels like to be on tv, but for him, he always says the same thing that he believes he has been on the television for most of his life. He doesn’t know if it is a bad thing but it has always felt like he was in the spotlight. He knows that he is a good entertainer because people love seeing him on television and we sure can agree to that. For more about Josh, read about his marriage to Bobby Boyd on this page.